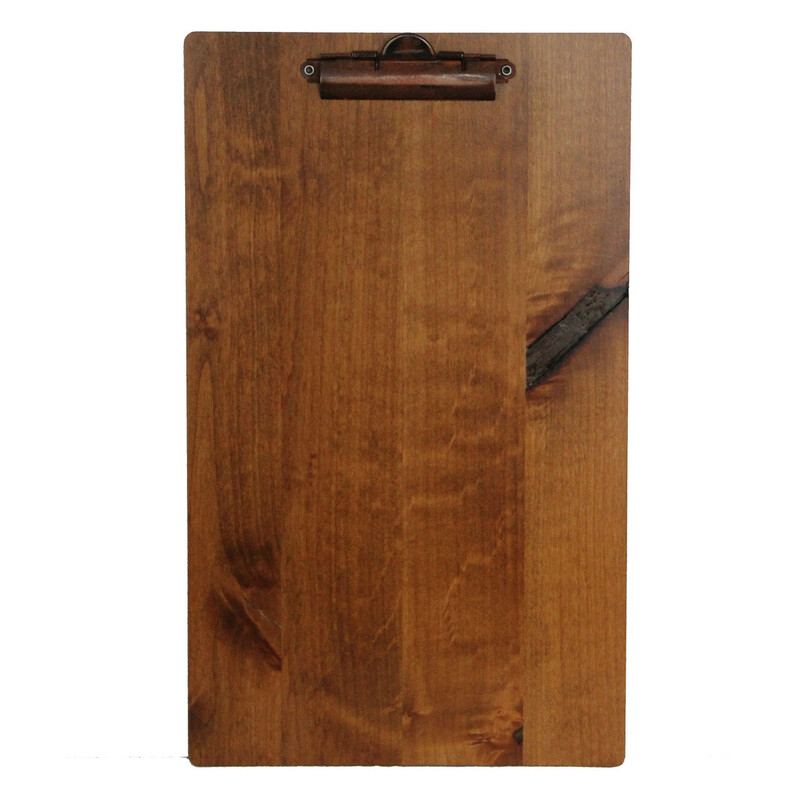 Single panel wood boards with clip are constructed using solid wood panels hand finished in your choice of finish color. Choice of clip color. May be customized with your logo or artwork engraved on the back side of the board. Optional color fill available. Minimum order 25 pieces. Quantity discounts at 50, 75 and 100 pieces.